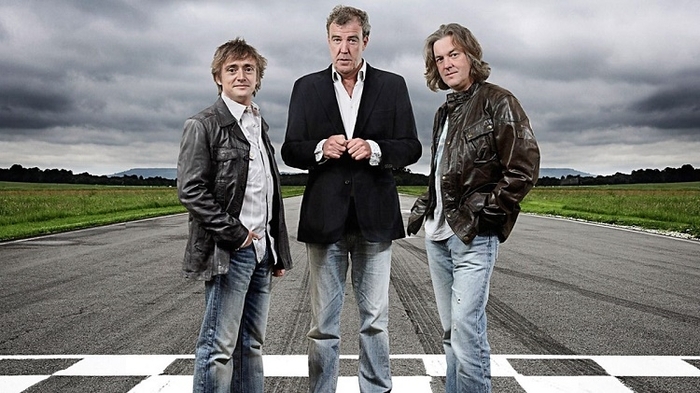 Clarkson vs. BBC: What next? We’ve been watching the latest Clarkson controversy with interest here at CAP. Mainly wondering whether, if he does get the chop, we might get scouted and be asked to step in and rag the latest supercar to perfection every week. Rowan Atkinson – closet petrolhead? Almost the fastest celebrity in a reasonably priced car – in second place by a tenth of a second – Atkinson has only recently sold his McLaren F1. Despite admitting that most of its miles since 1997 have been racked up on shopping trips and school runs, and that “to pootle is a pleasure”, he’s tried it out on the track and crashed it twice, too. We’d like to see which way this one goes. "Your car will go faster, your girlfriend will have a bigger bra size. It's an attested fact that, under Conservative governments, the quality of living of the British people has immeasurably improved, leading to better denticians, higher calcium consumption, leading inexorably to superior mammary development." We imagine the prospect of a frank Sunday night review a la Paxman – who must long to interrogate something other than a politician once in a while - could make a few car manufacturer press officers very nervous. For one, the number of signatures on a ‘Bring Back Clarkson’ petition now outweighs membership of all major political parties. Tory, Labour, Lib Dem, Green, Ukip, SNP and Plaid Cymru: 632,000. Clarkson: 835,357. And two… well, maybe not. His description of a Mexican as "a lazy, feckless, flatulent oaf with a moustache, leaning against a fence asleep" called for an apology to the ambassador. Take that, Mills and Boon: "Driving most supercars is like trying to man-handle a cow up a back staircase. But this is like smearing honey into Keira Knightley." Need we say more about this master of international relationships? What does the future hold for Clarkson? Comment below or tweet us @CAPAutomotive to share your views.